After endless weeks of research, back and forth communications with potential venues, weighing pros and cons, negotiating contracts, determining our absolute max budget and strategizing all of the potential scenarios that could pan out and impact costs...I seriously considered elopement for a hot second. It's funny how I absolutely love planning other people's events, but when it comes to my own, I can hardly make a decision. There are so many great options--How do you just choose one?! Well, folks--I finally did. Or really, WE finally did. Jason and I decided to just take the plunge and go with our initial choice which also happens to be a dream wedding destination of mine...We are officially getting married in Italy! 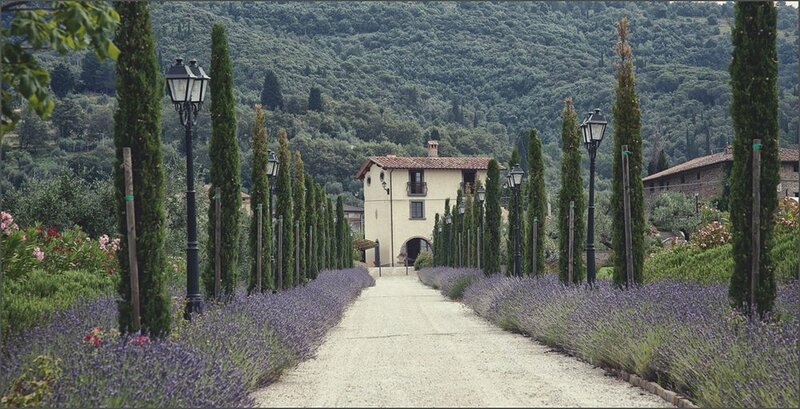 Villa Baroncino was built in the 18th century and is located on the border of Umbria and Tuscany. The estate not only offers accommodation for 50 guests within its apartments and suites ( to make for an unforgettable holiday with your closest family and friends!! ), it also makes for the perfect wedding reception location under the permanent marquee structure on site. Although the planning is now only beginning, we have already completed our biggest hurdle and all other decisions will more easily follow based on it. I won't lie, planning a destination wedding has not been a breeze for me thus far. I am someone who likes to see firsthand and visualize the end product to ensure I am getting what I signed up for. However, life is full of risks and surprises -- This experience is surely one of those which we are taking a (HUGE) leap of faith on. But isn't that what traveling and exploring is all about? Jason and I are both avid travelers and consider ourselves wanderlust souls. This next adventure of our wedding is going to be the greatest of all. And if things don't turn out as we hope, at least we will have each other and our closest friends and family to laugh it off with!